I love to celebrate the 4th of July. When the girls were small, we usually hitched up the RV and went camping. Now that it’s just the two of us, we go low-key and hang out at home. 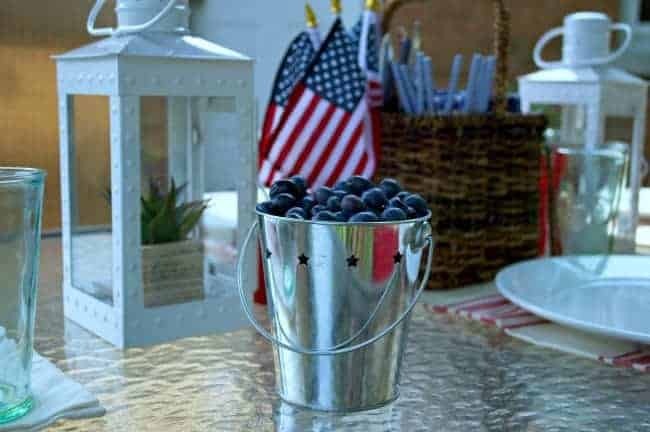 I don’t usually do a lot of decorating, other than putting out a flag, but I felt like doing some last-minute, easy and casual 4th of July decorating, and I thought I’d share. 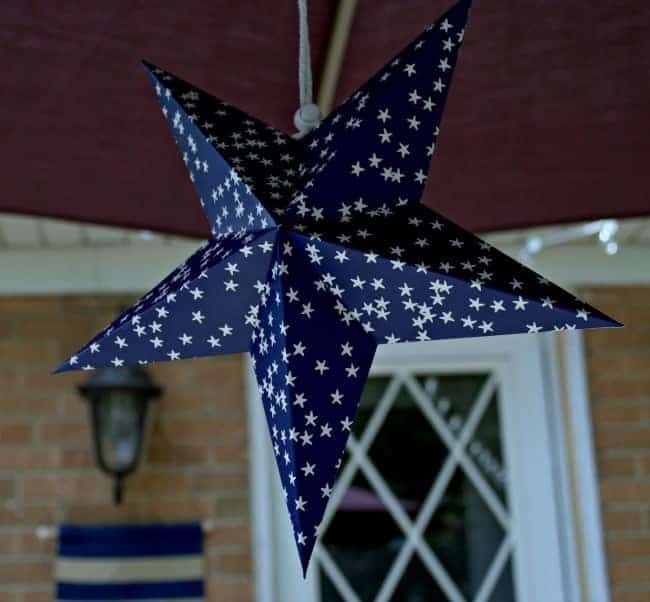 I did buy 2 flag swags this year, I’ve been wanting them for several years, and a few cute paper stars, but everything else that I used, I already had. 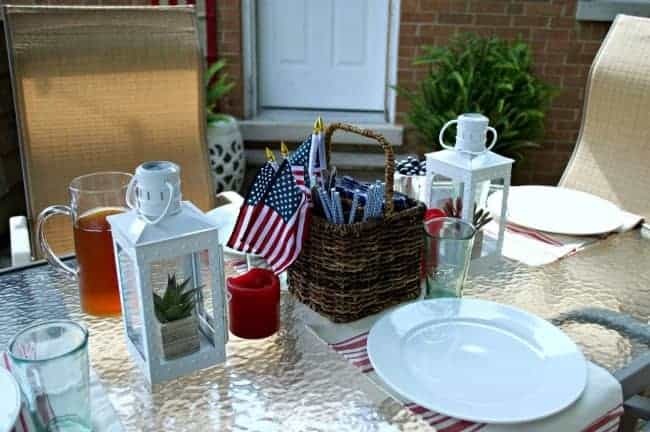 I had a few red, white and blue things like a pillow, a banner and of course, some mini American flags, but the rest is just red, white or blue doodads pulled from around the house. 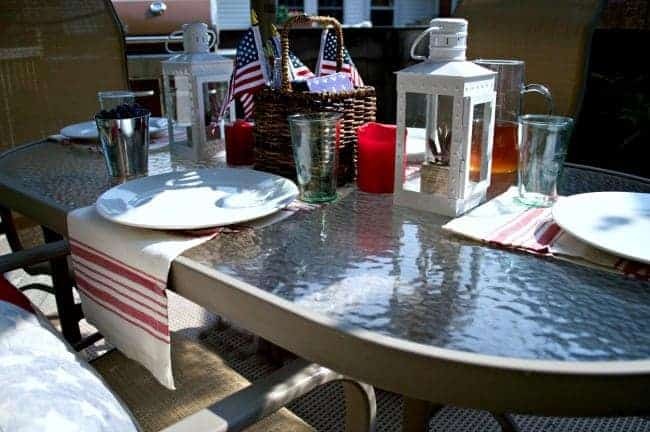 Remember, this is an easy and casual setting so the table is set very simply. Straws, napkins and utensils are held in a pretty woven basket and napkins are used as placemats. I also had a little fun with an idea I found on Pinterest. 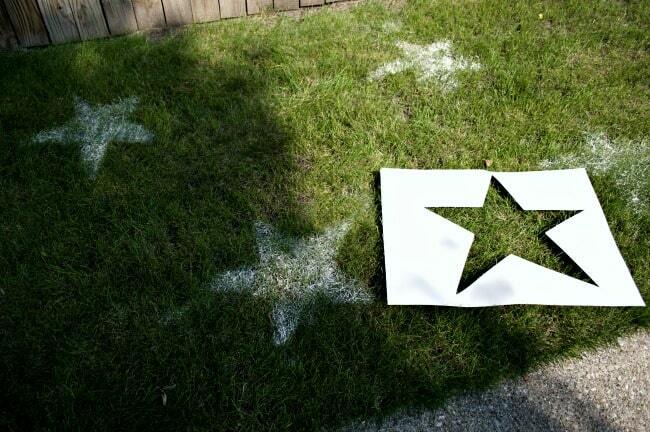 I’ve seen pins where people spray paint a star on their lawn from a poster board stencil. I didn’t want to use paint, so we used good old flour and a metal strainer. I could have done the whole lawn, it was so fun. 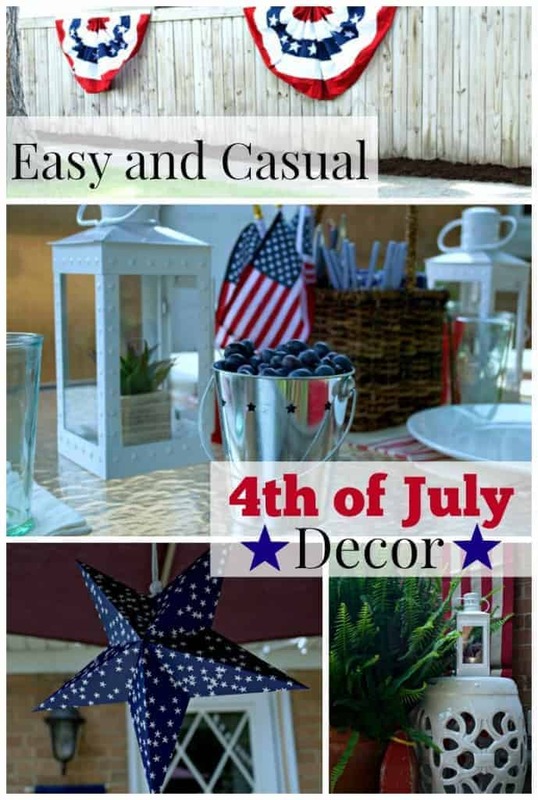 Do you decorate for the 4th of July or, if you live in Canada, Canada Day? I hope you have a Happy 4th and a great weekend. If you are traveling, stay safe. Everything looked so pretty!! 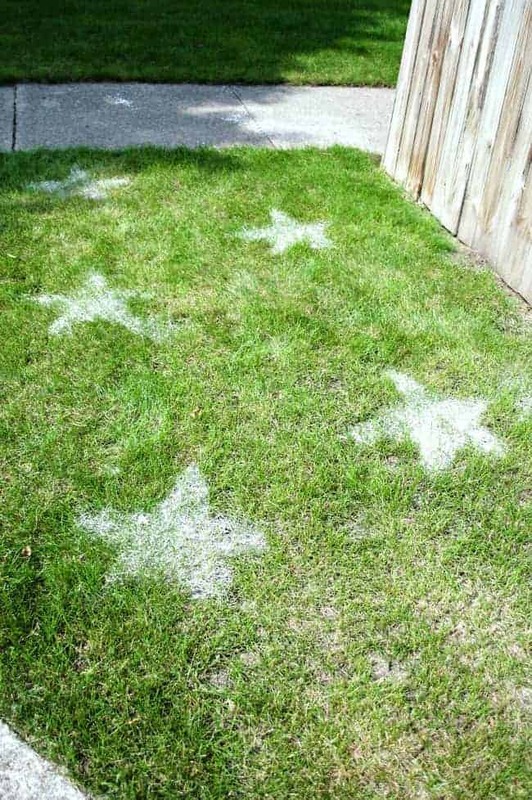 Love the stars on the lawn…so cute!! Oh those stars are just the best idea !!! 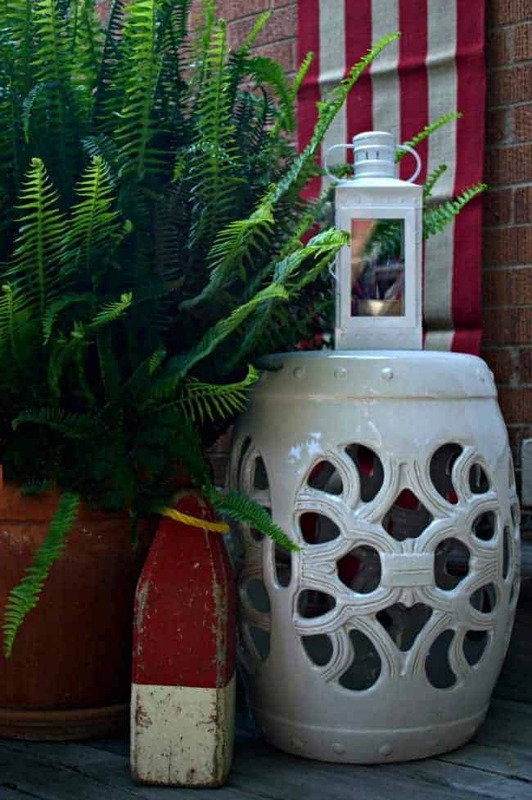 I find Canadian bloggers decorate because you Americans put us to shame – seriously LOL – the majority do NOT ! Haha, so funny. I don’t usually go all out, not that I did this year either, but my town really gets into it and I got the bug. The stars were on clearance at Target. Not much variety but I found a few to hang. Ha, I told you about the hanging stars and now I realize you were referring to the flour stars. My brain must not be working. 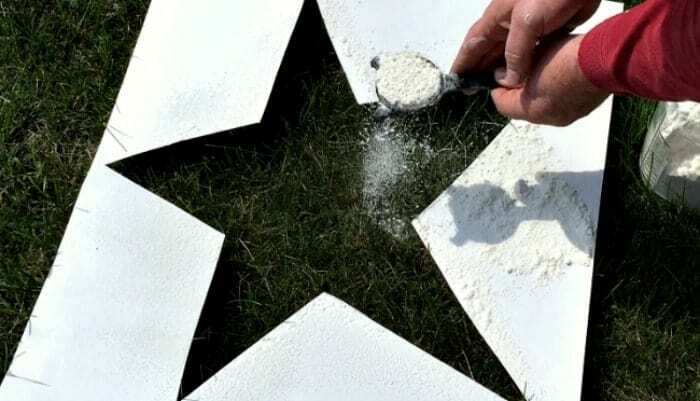 Love the flour idea with the stars! Also like your blue star with little white stars. Don’t know what we will be doing. It will depend on what the rest of the family is doing. Might have people over, might just go to our local parade. I love doing that, it has such a small community, country feel. Or we might just be hanging around the house. That’s okay too. Didn’t decorate this year, it seemed to come on so quickly, but like you I might just put out a few things that I have and add red, white and blue to the decor. 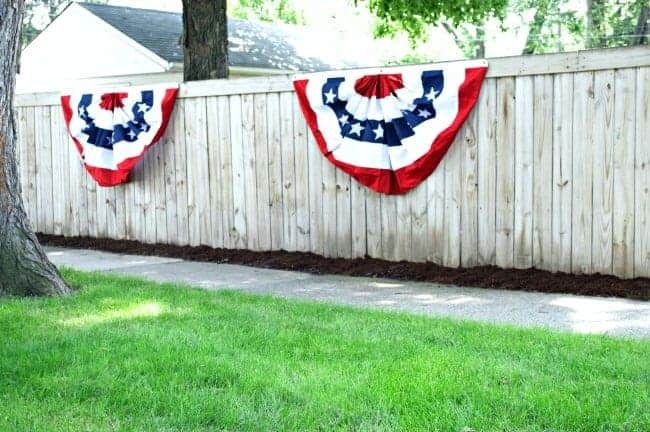 I usually don’t decorate much for the 4th but I was in the mood this year. 😉 Happy 4th to you MJ! Hope you have a great weekend. Love the flour stars. Much better than the paint. Your table looks very festive without going overboard. I too stay home and celebrate. Living in Daytona Beach with the races and crowded Beaches you literally stay home. 🙂 Have a happy and safe 4th. They were so easy and fun to do Debbie! I know Daytona gets crazy this time of year, we used to go to the race. Happy 4th to you Debbie! The stars are totally adorable and I love the flour idea. I wanted to try that, but spray paint? No way. This is a great alternative! I know what you mean about the paint. We’ve worked too hard to get it green and I don’t want paint on it. Happy 4th Kim! Thanks Lynne! Happy weekend to you too. Beautiful. Happy Fourth of July. We love our Country and its freedom. Thanks Phyllis! Happy 4th to you and Dwight!